Based at Moidart with stunning views over to Eigg and Rum this tour explores the Sound of Arisaig, Moidart and Ardnamurchan this wonderful tour really has something for everyone. In parts there are gorgeous white coral beaches and a myriad islands scattered across the sea. Paddling through these islands is like finding your way through a beautiful maze. Underneath you lie turquoise seas, surrounded by stunning views of the Inner Hebrides. In contrast you will find wild rocky coastlines punctured by small coves and caves. Then there are the more sheltered sea lochs where at last trees can begin to thrive. Here are stands of ancient Caledonian pines, and woodlands of oak, birch, beech and rowan, with the long abandoned Castle Tioram in the background. Another fantastic trip is kayaking over Loch Shiel followed by a paddle down the beautiful wood flanked River Shiel into Loch Moidart. Available dates for this trip are shown below. Our trips are normally fully inclusive but some of our trips are available as self catering and/or kayaking-only basis. 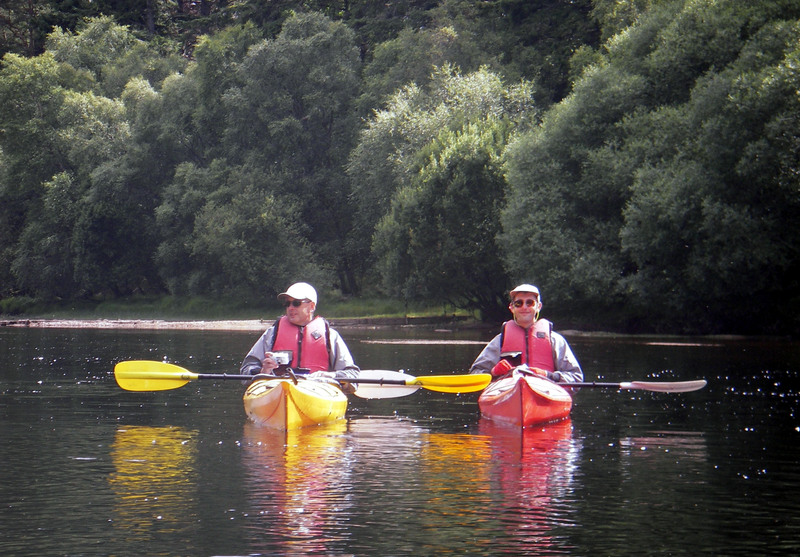 For our lodge-based trips the kayaking only option means you are responsible for all your meals and accommodation. For wild-camping trips you will be responsible for providing and cooking your own meals. Please contact us if you require more information. There are no fixed dates for this trip but we do offer trips on demand and tailored trips so please do contact us with your preferred dates for details. Please take a moment to read our Booking Terms and Conditions. Click the thumbnail to view a gallery for this trip. If you have a voucher code or anything else you need to tell us please include it in the field below. Check this box if you would like us to send you a brochure. We occasionally send an email newsletter with information on new trips, special offers and so on. Check the box below if you would like to receive the newsletter. Your email address is never shared with third parties & you can unsubscribe at any time. *A deposit of £325 per person is payable on booking to secure your place. You can pay online or offline by checking the appropriate box. If you choose to pay offline we will contact you with payment details, if paying online you will be forwarded to payment page on submittal of this form. If, for any reason, you are unable to complete online payment your booking will be in the system and we will contact you to arrange alternative payment.